That’s our Motto, this series will focus on how to live it. Or at least, it will focus on some ideas on how to live ‘Ready for Anything’. Specifically we’ll be looking at Evacuation Kits – commonly known as 72 Hour Kits, BOBs (Bug Out Bags), G.O.O.D. (Get Out Of Dodge) Bags among other names, all of which are similar but have distinctive differences. This series will explore all over the Preparedness Rabbit Hole as we discuss multiple methods for Evacuation Preparedness and/or Shelter In Preparedness – which are similar yet critically different. If we knew what was coming, it would be a lot easier to be prepared. Unfortunately there are endless possibilities ranging from job loss to nuclear war for which we can prepare. Through all of them there is one binary option – Sheltering In (staying in and surviving in your home) or Bugging Out / Evacuating. Another huge effect on Preparedness Plans is whether it’s just you and maybe a small part of your community that’s effected or if it’s the whole state/country/world. The definition of TEOTWAWKI (The End Of The World As We Know It) can just as easily be Global Nuclear War or a sudden layoff when the country is in a recession. 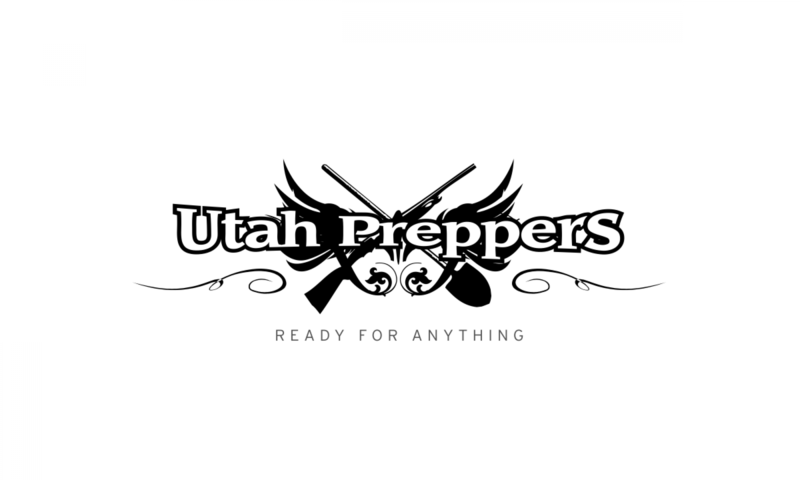 As Preppers, we tend to categorize Preps into survival time frames – Instant Chaos Survival (car crash in the middle of no-where), 3 Day Survival (extended power outage, serious earthquake), 14 Day Survival (Nuclear Fallout), 3 Month Survival (Decent food and supplies to get through a crisis), 1 year (long term food and supply storage to get through an extended crisis) and Ultimate TEOTWAWKI – Catastrophic collapse of civilization with very long term effect. This series will focus on the 3 Day Survival objective and will combine several types of preparations we should/can be making for this. 3 Day Survival is usually looked at as a transitory survival phase – being able to live long enough to get to the next stage – whether the next stage be returning home and getting back to normal or settling into a longer term survival, adjustment and re-establishment phase. Either way, you’ve got to be able to ride out the initial 3 days. If we’re Sheltering In, our 3 Day Kits will likely be retrieved and kept on hand, likely in bedrooms or in a family room – but out of storage. If we’re Bugging Out, our 3 Day Kits will be retrieved and brought with us, serving as a supply system while we re-situate. By retrieving them for Sheltering In we can be sure that certain necessities are readily accessible such as medical, light or cooking/eating equipment and supplies. If we’re Bugging Out, we are ensuring we have food, water and clothing supplies with us as we rush to get away from the house. But how do we know what to put in there? How do we know what will be needed for 3 days? How do we know what we’ll need after 3 days and how can we be assured we’ll be able to get it? How are we transporting our 3 day kits? How much time will we have to grab and load? And on and on! These kits are generally considered extensions of one another. The concept behind Every Day Carry is to keep on you at all times the bare minimum you would need to survive and are often things that are part of your daily routine. This generally means tools or items that would allow you to: Defend yourself, build a shelter, start a fire, get somewhere else. For many of us, this means carrying a concealed firearm, a knife or leatherman, a lighter of some sort, a flashlight and a myriad of other things (see the above links for detailed posts). EDC is generally kept in your pockets but can also be kept in a bag or backpack that you always have with you. It serves as your basic survival system that you are never without. This is actually core to living a preparedness lifestyle and serves as the initial building block of your Evacuation Kit. We spend a huge amount of our time in our cars. If we’re not in our cars, they are usually not far from us. It makes good sense then, to keep an extended survival kit in your car. A Car Kit is also a general survival kit for your car itself. It should contain plenty of tools to allow you to repair your vehicle if it breaks down or has problems. This usually includes: Jumper cables, a tow strap, duct tape, hand tools, a flashlight and so on. It should also contain a good First Aid Kit and items and tools to allow you to survive beyond your EDC if you break down and are stranded. Your Car Kit becomes the second building block in your Evacuation Kit in that it will not only keep your evacuation vehicle running, it can help keep you alive. One thing to always keep in mind with your Car Kit is that the items in it will be subject to extreme heat in the summer and freezing in the winter. This can cause food to spoil and water bottles to crack (from freezing). Many of us spend a large chunk of our day sitting at the office. There is a huge possibility for all kinds of things to happen either at/to the office or that we’ll have to start our evacuation from the office. A good Office Preparedness Kit will contain lots of different OTC medications and a good First Aid Kit that will serve you well for regular day to day occurrences. It should also contain basic survival items for scenarios (such as an earthquake) where you have to survive before you get to your Car Kit. This includes water, water purification, simple foods, a whistle (to alert rescuers), a flashlight, etc. Your Office Preparedness Kit should be able to stand on its own (combined with your EDC) and in an evacuation scenario you should be able to grab it and go. In certain scenarios, the Office Preparedness Kit will supplement your Car Kit if you begin an evacuation from there. Your BOB is basically a 3 day survival backpack. It should be designed to allow you to seek shelter on foot and should contain everything you need to defend yourself, keep you fed, hydrated and sheltered and somewhat comfortable. The items that go into it will be a very personal decision based on your skills, inclinations and personal experience. A BOB may be something you have to grab on the run while you’re getting out of the house as fast as possible, it also serves as an item of your Evac Kit. An Evacuation Kit goes beyond a BOB, actually a BOB is one of the things on the Evac Kit’s checklist. An Evacuation Kit consists of the things you need to take with you to head into the unknown in any kind of an emergency. It assumes you are heading out in a vehicle, that you have at least a little bit of time to grab things and throw them in a trailer or trunk. How much and what your Evacuation Kit contains will depend heavily on your ability to transport it. Preferably you’ll have a trailer that can be pre-loaded and just waiting to go in case of an emergency. Where a BOB list looks like you’re going on a long hike, an Evac Kit list looks like you’re going on an extended family camping trip. You may have several pre-packed bags or containers for your Evac Kit or you may have bags or containers waiting to be packed with lists of what go into them. The key is to consider everything ahead of time and make preparations to be able to load your Evacuation Kit in less than a half hour. This post has covered the basics so we can all be on the same page going into this series (sorry if it bored some of the old pros :) ). From here we’ll start going through how to determine the contents of your Evacuation Kit, consider multiple things you may need and start figuring out how to be prepared for a possible evacuation. I have spent many hours over the last month or so reviewing over 100 72 Hour Kit, Bug Out Bag, and Get Out Of Dodge bag lists. As I’ve gone through all these lists I’ve made a master list that we’ll start using in the next post. It is, by far, the most complete evacuation list I’ve seen but I’m also sure it is still missing some things. As we go through it, hopefully we’ll get some good feedback on what might be missing. To allow easy updating and re-distribution, I’ve made the list into a Google Spreadsheet. The next post in this series introduces the Evacuation Kit Master List. I have found that my emergency preparedness kits are now modular and “tiered”. Each smaller one is actually part of the next larger one, similar to a “stacking doll” set depending on it's intended use. The every-day kit can be tossed into my shelter evacuation kit and I'm out the door. Both tiers of the evac kit are part of my Shelter-in-place kit.